When you first hear someone say they are a “fruitarian,” perhaps your initial reaction is to believe that person is joking. It’s as if they’re poking a little fun at those who follow strict diets for health or ethical reasons, such as raw foodists, vegetarians and vegans. After all, a person can’t eat a diet consisting of mainly fruits, right? Well, lots of people are doing the fruitarian diet, and many of them are doing quite well. What is a fruitarian diet and why do people adopt it? A fruitarian diet is not necessarily 100 percent fruit-based, though that is often the case. There are different types of fruitarian diets, depending on the reason the person decided to adopt it in the first place. Many fruitarians have adopted the diet for ethical reasons, believing that the killing of anything for food is unnecessary. Instead, these fruitarians will only gather fallen fruit, or fruit that spreads its seed after it has been picked. These sugary-filled folks believe that humans should go back to a time of gathering food. Often these fruitarians will point to a study from John Hopkins University that may provide evidence that early hominids had a diet which consisted of mainly fruit. Other fruitarians follow the diet for religious reasons. They are under the belief that humans should return to a diet similar to the Bible’s Adam and Eve in the Garden of Eden. These fruitarians believe that following a fruit-based diet represents a return back to our roots. So long as we don’t eat the fruit given to us by a snake, everything will be just fine. Still, more fruitarians allow leniency in their diets. They include nuts, legumes and other uncooked foods that can be gathered. These fruitarians are often guided by health motives and believe such a diet will have physical benefits. Although nutritionists rarely agree with adopting this diet, the internet is filled with enthusiastic fruitarians who promote the belief that this diet has improved their health tremendously. A hero to many fruitarians, marathon runner Michal Arnstein adopted the fruitarian diet in an attempt to help his performance in sports. Arnstein has appeared on CNN and other televisions specials to speak about how the fruitarian diet has had a positive impact on his life. It’s hard to deny that Arnstein emits a certain glow and has beaming white teeth. While speaking with CNN, Arnstein was asked to respond to the numerous nutrition experts who say that a fruitarian diet lacks key nutrients and should be detrimental to his health. Arnstein had a very simple response: study him. Find out what it is about the fruitarian diet that helps him to achieve his athletic goals. That poses a bigger challenge than Arnstein might realize, however. The logistics surrounding a double-blind placebo-controlled study on the long-term health impacts of a fruitarian diet would make a study virtually impossible. Finding willing, unbiased, subjects that would switch to a fruitarian diet for years at a time, against medical recommendations, is not something researchers would have an easy time doing. The late Steve Jobs, founder of Apple, had many quirks in his eating habits, including going weeks only eating carrots or apples. For a period of time Jobs adhered to a fruitarian diet that consisted of only fruits, nuts or seeds. According to his co-workers, Jobs believed that the diet flushed his body of mucous. As a result, he believed he didn’t need to wear deodorant or shower regularly. His co-workers did not agree with him on the hygiene part, by the way. When actor Ashton Kutcher adopted the fruitarian diet to prepare for playing the role of Jobs in a movie, he went to the hospital after only a month, doubled over in pain. Doctors checked his pancreas levels and found that they were “out of whack,” as Kutcher described it. Considering Jobs died of pancreatic cancer in 2011 at age 56, and Kutcher’s adoption of a fruitarian diet caused pancreatic abnormalities, many people connect cancer with the diet. This, while understandable, is a big jump to make. However, doctors do have concerns regarding the fruitarian diet based on more probable cause-and-effect dietary relationships between nutrition and health. 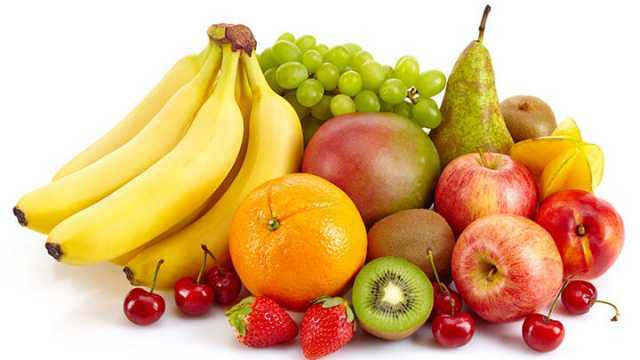 The concern from doctors is that while fruits do not supply the body with all that it needs to maintain organ tissue, hormone levels and immune cells. The fruitarian diet also eliminates starches altogether. This leaves the fruitarian feeling less satiated, having to constantly eat in order to stave off hunger. On top of all of that, fruitarians often suffer oral health issues. The amount of sugar in the diet can rot teeth. And of course, the main argument is that the diet doesn’t supply enough protein. But if the fruitarian diet doesn’t supply the body with all it needs, then how is Michael Arnstein running all of these marathons? How come the internet is filled with people stating it has made them healthier, happier and more productive? As with anything in the health field, there might be something different about these people. Perhaps they are medical outliers whose bodies and nutritional needs differ from the general public. It may be they want to believe the diet is having a positive impact, so they convince themselves it is. Perhaps they have switched from a traditional Western diet, which many believe to be far unhealthier. Maybe it’s a combination of all of those things. In any case, we still love fruit. We think everyone should incorporate it into their daily diets — but perhaps moderation is the key here. Hey Buddy!, I found this information for you: "These People Are Thriving On Fruitarian Diets". Here is the website link: https://www.thealternativedaily.com/how-the-fruitarian-diet-works/. Thank you.